Andrés Rosberg, former president of the Argentine Sommelier Association (AAS), was anointed head of the Asociación de la Sommellerie Internationale (ASI) last Thursday in Bordeaux, France. He is the first sommelier from the Americas in the international sommellerie association’s 48-year-history to take up this post. Andrés Rosberg, president of the ASI, by Martín Fernández Delamer. Rosberg added that Argentina is increasingly on the world stage for wine professionals: “Not only are there more Argentine sommeliers than ever but students from around Latin America come here to train then go out into the world to work – we are building a network of Argentine wine ambassadors. Rosberg, instrumental in organising the ASI’s 15th Best Sommelier of the World contest in Mendoza in April 2016, stood against Serge Dubs for the ASI title, pipping his French colleague to the post with 29 votes to 24. 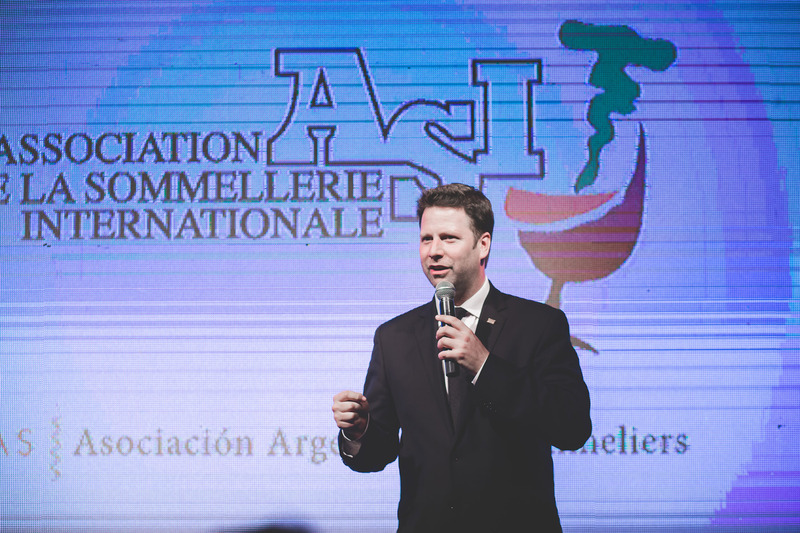 The Buenos Aires-born sommelier, who speaks all three of the ASI’s official languages, will lead the 1969-founded association for the next three years. The prestigious election is a further string to his professional bow, given that the 42-year-old sommelier, who helmed the AAS for 10 years before bowing out last December, is also vice-president of the PanAmerican Association of Sommeliers (APAS). Besides leading the ASI until 2020, Rosberg will start to juggle international commitments alongside his Argentine ones as executive sommelier at the Fierro Hotel and director of La Morada de los Andes vineyard project in Uco Valley.